At its 2010 national conference the Hindu Council called on its members to embrace Māori culture. In June 2010 the Hindu Heritage Centre in Māngere, South Auckland, invited members of the Māori community to a celebration of Matariki, the Māori new year. 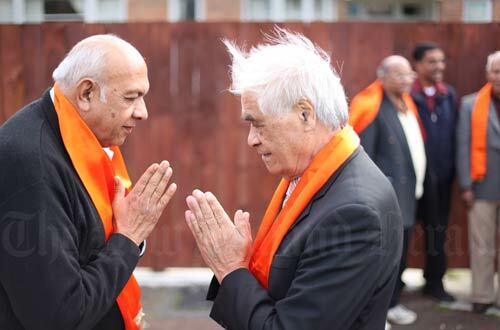 Here Hindu elder Pravin Patel (left) greets Māori elder Haare Williams during the celebrations. Williams said Matariki was a time to dispel ill feelings between groups, and that the new moon symbolised a new start.